Home » Letterboxing and Geocaching » Geocaching Swag Ideas – Little Treasures Add Up to Big Geocaching Fun! 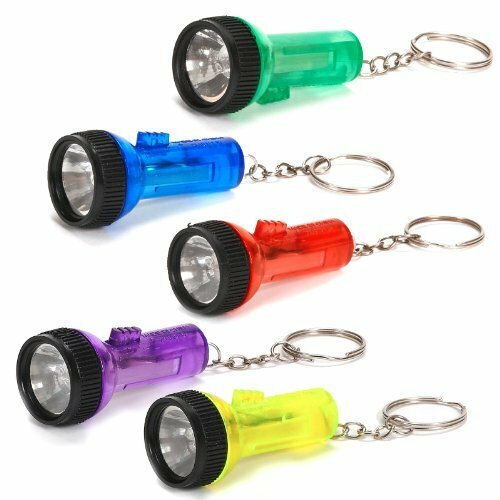 Geocaching Swag Ideas – Little Treasures Add Up to Big Geocaching Fun! Want to get involved in the trading part of geocaching? Keep reading to discover some fun geocaching swag ideas to get you started. You probably won’t have been geocaching for long before you encounter the term geocaching swag. You may be wondering what that is. Geocaching swag is a term people use when they are referring to trade items. Many geocaches that you find will contain inexpensive little trinkets that are meant to be traded. While you don’t have to participate in the trading aspect of geocaching, swag can add another fun layer to the game that makes it seem even more like a treasure hunt! You might want to consider carrying extra swag to restock any caches that are low in trade items. Nothing is more disappointing to a child than an empty cache or one that is filled with junk. Consider it your good deed for the day and keep some extra trade items in your pack for when you come across caches that could use some TLC. 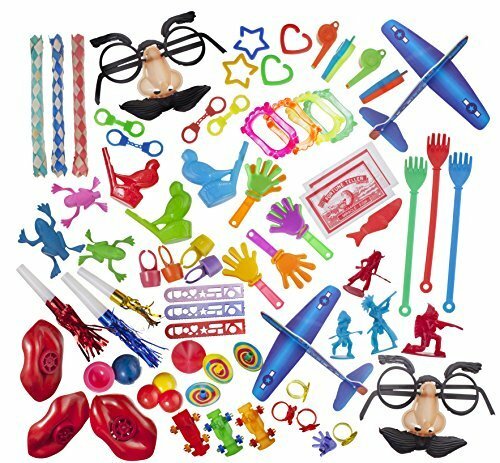 If you are just starting out, I highly recommend getting a bulk toy assortment from Amazon. They are relatively inexpensive and have a good assortment of trinkets for both boys and girls. 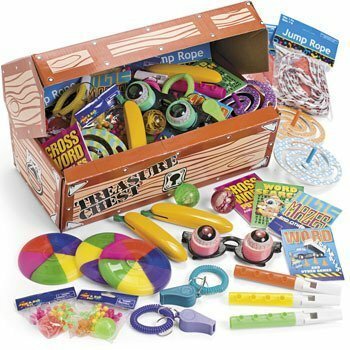 A bulk assortment is a great way to ensure that your kids always have trade items for when you go out geocaching. If you want even more ideas, do a quick search for novelty prizes for kids on Amazon. Signature items are a special type of swag. These are items that are left behind as a “calling card” at every cache a geocacher visits. They typically have something to do with the cacher’s trailname or interests. A signature item can be something as simple as a custom printed business card that has been laminated. It might include a picture and a little blurb about where the cacher is from and how long they have been caching. Wooden nickels stamped with the geocacher’s trail name are also popular signature items. The picture above shows our signature wooden nickel. You can get personalized round self-inking stamps that work well on wooden nickels. Then all you have to do is stamp the wooden nickel and voila – you have a cool signature item that is inexpensive and easily made. We have been leaving our custom wooden nickels in geocaches since the very beginning and still do to this day. You can use the same design on both sides of the wooden nickel or you can create a different stamp for the front and back. We personally have a different stamp for both the front and the back. We get our blank wooden nickels in bulk on Amazon. We usually make 200 or so at a time which lasts us quite awhile. Other popular signature items include custom keychains, magnets, or pencils. These items can be imprinted with the text of your choice and are often quite inexpensive if you buy in bulk. You could even consider having custom smashed pennies made. We had a geocaching smashed penny custom made. 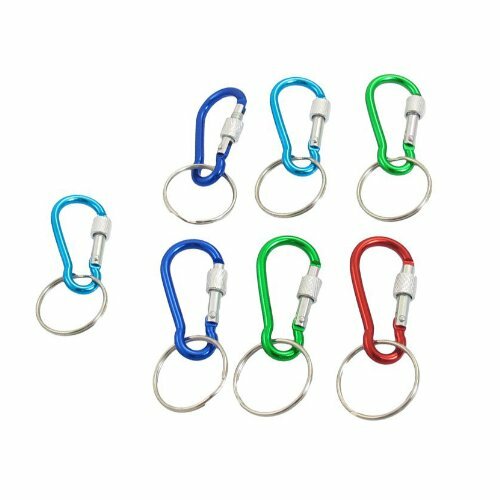 We love it as they are small enough to leave in all sizes of caches – including micros. It was around $150 to have the mold made initially with our design, which included 300 pennies. 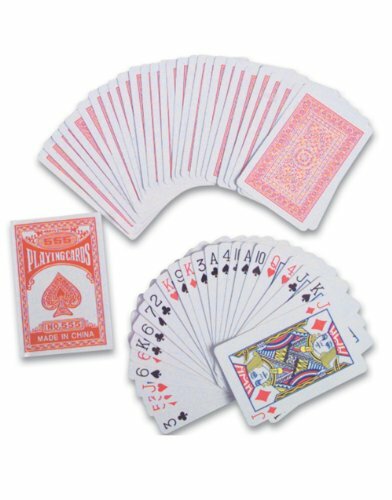 After the initial cost though, the reorders are quite inexpensive – less than 10 cents a piece. Your local Dollar Store – This is a great place to find cheap trade items – especially for adults. 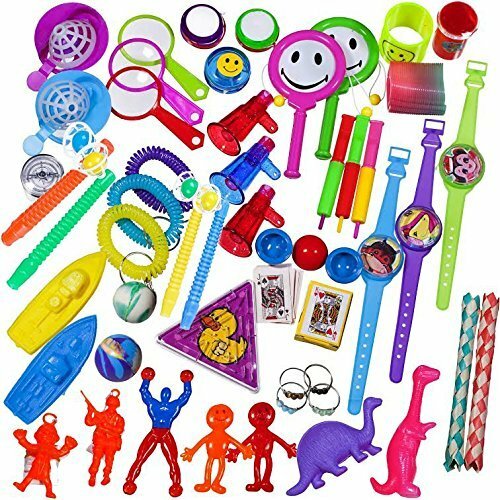 Amazon – They have a great assortment of toys and novelties and you can often get trade items for just pennies a piece if you buy them in bulk. Make your own – we often make our own trade items using craft items we have around the house. Nothing is worse than finding a geocache where all the trade items are wet and moldy. Not everyone hides waterproof geocaches and even if the cache is water-tight, sometimes previous finders don’t get the lids back on correctly. No matter what geocaching swag ideas you come up with, you will want to make sure they are well protected when you put it into a cache. The best way to do that is to use resealable plastic bags. By using a well-sealed plastic bag for your geocaching swag, you will ensure that your swag doesn’t get destroyed by exposure to moisture. Although you can certainly use zipper style sandwich bags to protect your geocache trade items, I like these resealable plastic bags that are intended for jewelry making and crafting because they are inexpensive and come in different sizes. Whether you are a child or adult, geocaching swag can add a treasure hunting aspect that increases the enjoyment of the game. While children love to play with the toys they find, adults might take pleasure in collecting signature items. Regardless of what you trade for, it is great fun for everyone. So tell me… do you have any other geocaching swag ideas to share? If so, be sure to leave a comment below. Welcome to Tiny Camper Big Adventure – a Teardrop Camping Blog! Whether you already own a small camper or are just dreaming of one, Tiny Camper Big Adventure will inspire you to get out and explore. This teardrop camping blog features tips for staying sane and organized in a small camper, campground reviews, and ideas for fun places to visit. Tiny Camper Big Adventure is here to help you plan your next big adventure! We are a husband and wife team of tiny camper enthusiasts who love to travel and explore. We currently own a vintage-inspired teardrop trailer. Tiny Camper Big Adventure participates in the Amazon Associates program as well as other affiliate programs. The links on this site may be affiliate links. This means that we earn a small percentage of any sales generated from these links. This helps to support this website. If posts are sponsored or if a complimentary product has been received for review, it will be stated at the beginning of the post. Website Graphics from A Scrap of Time.